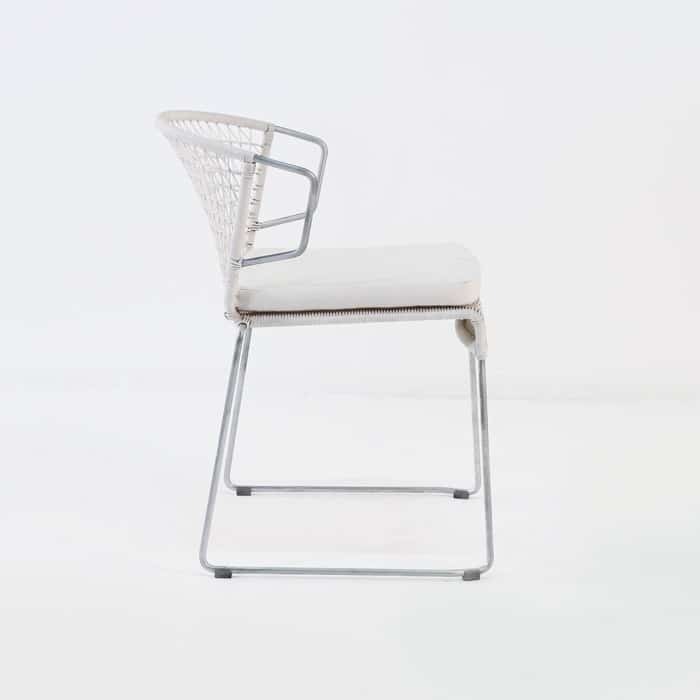 The spectacular Sophia Dining Chair in chalk is a beautiful dining chair with a strong, still lightweight galvanized steel dining chair. 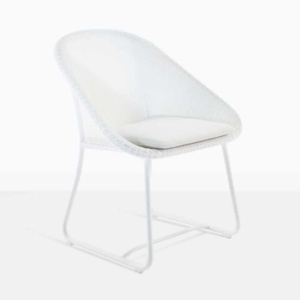 This Ecolene® synthetic outdoor wicker dining chair is an elegant and comfortable with the nice graceful wicker weave and the thick Sunbrella® seating cushion. 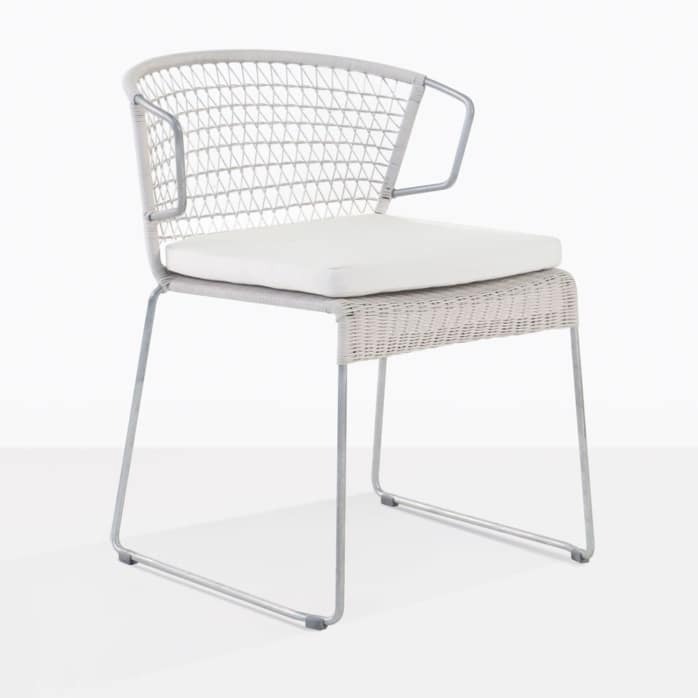 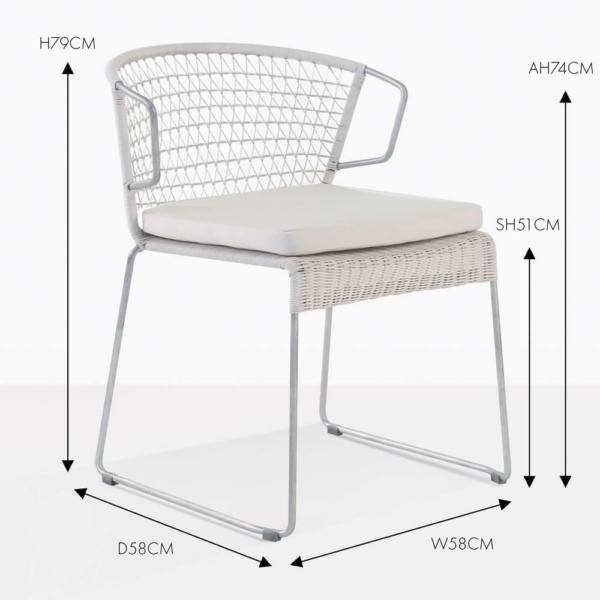 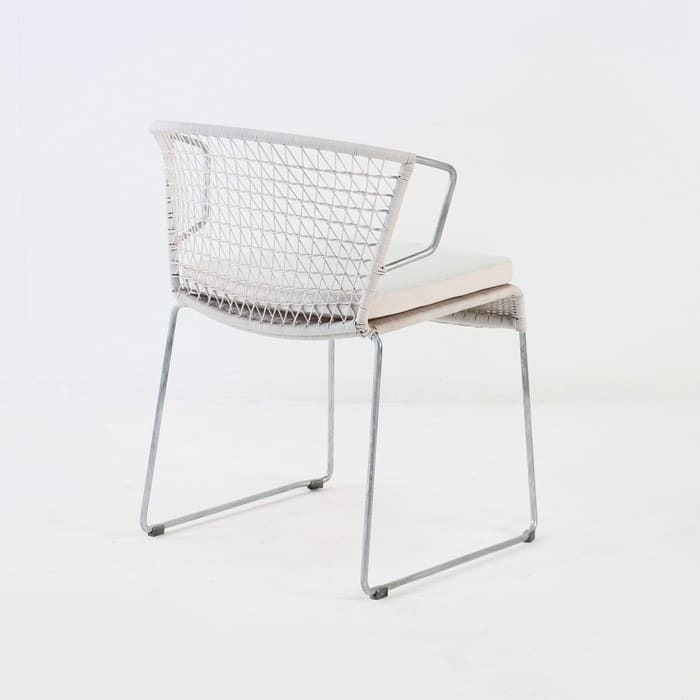 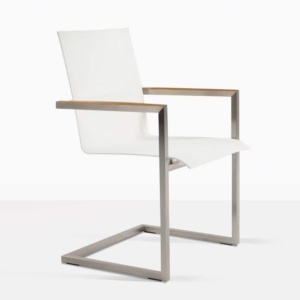 The think and open galvanized steel frame gives a strong and stable stance to this outdoor dining chair; the materials are all perfect for all-weather outdoor use, year round.